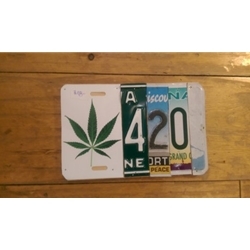 Fun License Plate Artwork Makes a Wonderful Gift! Made in USA. 4 Weeks Delivery.